What is a Crostata? A Crostata is an  Italian baked tart, a free-form rustic style pie/tart. A Crostata is easy to make, delicious and impressive to serve. It can be made with a number of fillings, but my favorite filling is: Apple Orange Cranberry. The perfect fall dessert, when apples and cranberries are abundant. Have a few extra pears you’re not sure what to do with? Slice them up and throw them in. That’s the pure beauty of a crostata, anything goes. 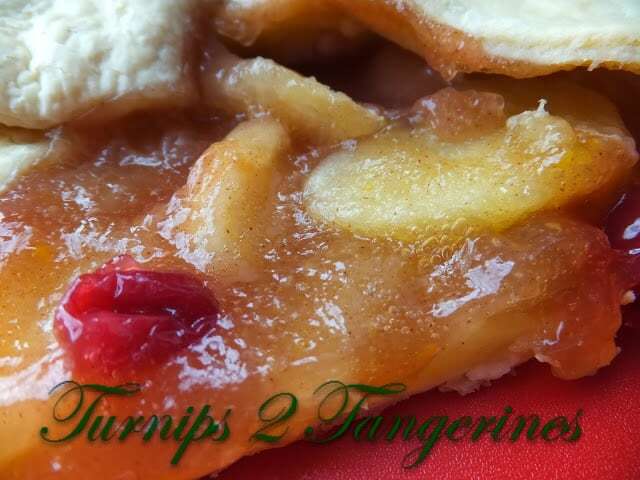 After the recipe for apple orange cranberry crostata you’ll find a recipe for apple piece spice. I don’t know about you but I can’t count the times I’ve needed a “spice blend” of some kind or another and had to go in search of. Only to come home with the extra large container of apple pie spice or pumpkin pie spice, to find out that it smells “old and musty.” That really ticks me off. Not only have I wasted time, money and gas running around but I still don’t have a usable spice blend that I can use. That’s where making your own spice blends comes in. The two blends I always need, especially during the holidays, are apple pie spice and pumpkin pie spice. Both blends are similar but different. This makes making the two blends very economical because the spices used are interchangeable. The next time you are at the grocery store, pick up the necessary spices to make both spice blends. You won’t ever run out of apple pie spice or pumpkin pie spice again. Preheat oven to 425º Spray baking sheet with nonstick cooking spray. In a skillet, melt butter over medium heat. In a medium bowl, place apple slices; add cinnamon, nutmeg and apple pie spice. Toss to coat and add to skillet. Cook for 10 minutes and then stir in cranberries. Cranberries will pop when heated through. Add orange zest and orange juice. Cook until liquid cooks down slightly and apples are tender, cool. Unroll pie crust onto prepared baking sheet. Roll out into a large circle. Spoon prepared apple and cranberry mixture into center of crust and fold in sides loosely and unevenly. Using a pastry brush, brush egg wash over crust. Sprinkle crust with 1 teaspoon sugar. Bake at 425º for 12 to 15 minutes or until crust is golden brown. Serve with vanilla ice cream or whipped cream. Combine all ingredients, blend well. 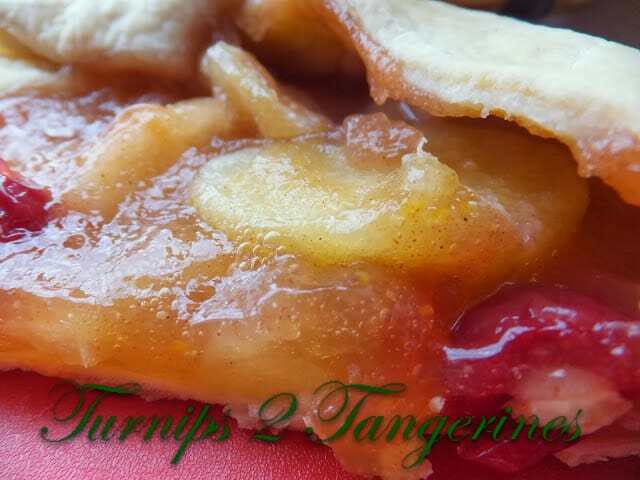 Hi Lynn, Your Apple Orange Cranberry Crostata looks wonderful, I love your combination. Thank you so much for helping us celebrate Three Years at Full Plate Thursday. Have a great week and come back soon! Good Afternoon Lynn, I like the sound of this crostata, it looks fabulous I especially like the addition of the cranberries which are still in season at the moment. The spice mixture of cinnamon, allspice, nutmeg and ginger sounds delicious….. this is certainly a pie I will be cooking. Hi Mary!! Me either:) This is Easy Peasy Nice and Easy! !